The Pound slumped late last night and over the course of this morning, reversing the gains made yesterday. The Pound Euro exchange rate dropped from a high of €1.1270 to a low of €1.1209, the lowest level of the last week. 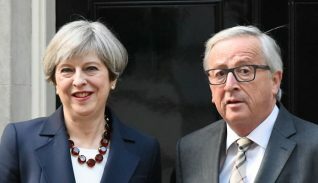 Michel Barnier, Europe’s Brexit negotiator floated the idea of offering the UK an extension on the Brexit transition until the end of 2022, which would allow the British parliament an extra two years for negotiation. This would see the UK following European court of justice rulings and EU laws while having absolutely no power as no British MEPs or ministers will be part of the UK decision making processes. This morning also saw the release of the German producer price index, which showed the predicted drop from 0.5% in the previous month to 0.3% for October. Despite this, the UK currency has pushed back as statements made by Governor of the Bank of England (BoE), Mark Carney has made the statement that the Bank has been preparing for the possibility of a no-deal Brexit since June 2016. As Brexit dominated the headlines yet again, the UK currency remained volatile at the start of this week’s session, with today’s low of €1.1209 compared to a high of €1.1549 last week. Yesterday saw Rightmove release figures for house prices, with the figures showing the largest drop in November since 2012, with former hot spots such as London being hit the hardest. The average asking price for a home in the UK fell by 0.2% compared to last year, with the largest falls in house prices being in London where they slid by 1.7%. A focus for the single currency’s exchange rates is the situation with Italy and the ongoing tension between Rome and Brussels. Last week it seemed a lot of investors looked past this issue as the spotlight seemed to be on the UK currency and the effect Brexit was having upon it. France’s unemployment figures were released today showing unemployment remained steady over the third quarter despite predictions of unemployment rising by 0.1% on last quarter. Unemployment remained steady at 9.1%, which could have been a cause for Sterling’s slump against the Euro this morning. The focus is going to remain on Theresa May’s Cabinet and how they are going to navigate through the upcoming months, and whether May is going to be able to keep ahold of her premiership. If May gets ousted from her position it will undoubtedly cause huge repercussions for the UK currency and cause Sterling to remain volatile and it will be likely the GBP/EUR exchange rate will plummet. 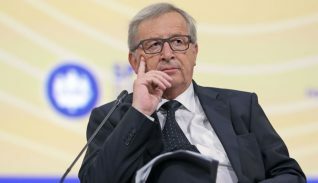 For the Euro the spotlight will remain on Italy for the rest of this week’s session as the report concerning Italy is set to be released on Wednesday, which will be seen as the first step in implementing punitive measures against Rome by the European Commission due to their refusal to revise their 2019 budget. Investors may remain cautious of the single currency over the week as the dispute between Brussels and Rome plays out.